Because it means strength. Women find men who are survivors and protectors attractive. Okay, fine. Well, how do you up your self-esteem? For him, it’s not about “feeling good.” Like Stuart Smalley saying “I'm good enough. I'm smart enough. And doggone it, people like me.” Not even close. It’s about NOT thirsting after outer esteem. You know, fame, power, glory, money, the hottest car, compliments, accolades, awards, even women. It’s about working on your inner-game so you’re esteemed from within. In the process, you get something like a strong immune system. You get psychologically sick less often. And if you do, you bounce back faster. So, again, HOW do you strengthen your inner-game? Branden offers six PRACTICES. Not meant to be done once. But to be done over and over again for the rest of your life. Like brushing your teeth. Do these six practices every day and you’ll strengthen your inner-game. Imagine walking around into a room with no lights. You bump around. Then you turn on the lights. You can see what you’re doing, so you bump around less. Living consciously is like turning the lights on. Becoming more aware. Don’t ignore your imperfections. And don’t ignore your strengths. Acknowledge them. Be honest with yourself. Know yourself. How can you leave a place if you don’t you know where you are? Before blaming, look to yourself first. It always takes two to tango. Before name-calling and blaming, see what you yourself can do better first. Stand up for yourself. And for what’s right. Assert your wants. And be able to say no. Even if you get ostracized. Even if you get condemned. Even if you get made fun of. Even if a person doesn’t like it. Have goals. Don’t be a passive consumer. Have five-year goals, one-year goals, and break those down into monthly, weekly, daily goals. Don’t just have goals, but create an action plan. Don’t just have an action plan, but execute it. Don’t just execute it, but evaluate your results. This gives your life direction. Align what you think, say, and do. If you say you’re going to do something, do it. If you have a belief, don’t just preach it, do it. Have what’s on the inside be what’s on the outside, too. With that said, which practice is your strongest, and which is your weakest? The great thing about this exercise is it doesn’t say “Be more assertive!” It asks what small step can you do TODAY. The other great thing is a psychologist isn’t telling you what to do. The answer is coming from you. That’s where change comes from. When the insight comes from within. So, how can you bring 5% more of ALL these practices into your life? Practice improving these six every day and you’ll get that kind of ironman inner-game that women find irresistible. Even better, you’ll get an ironman inner-game. 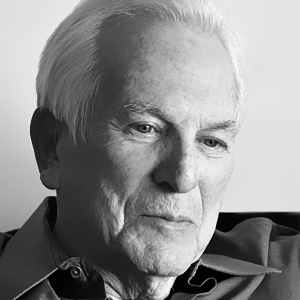 Nathaniel Branden, the psychologist who coined the term "self-esteem." <strong>mortgagecrow I value the post.Really thank you! Keep writing.</strong> I value the post.Really thank you! Keep writing. Thanks man! I appreciate the kind words.